1. Why would I go through the business valuation process? As a merger & acquisition firm, we mainly utilize business valuation as a vital component of the process to buy or sell a business. But there are many other reasons a business owner may undergo the business valuation process. Here are 25 reasons from Melisa Silverman and another 50 from Edward Mendlowitz. Many of the reasons deal with planning for an owner’s exit from the business. But business valuation is also useful for guiding the management and growth of a business. 2. What methods are used to value a business? There are three main ways to value a business and within those three, different versions. How is each method of valuation calculated? The videos below walk through simple calculations and examples of each type of valuation approach. This article from ValuAdder provides a written explanation of each method’s calculation. Which method of valuation is best? There are multiple methods of valuation because not every company is built the same way. 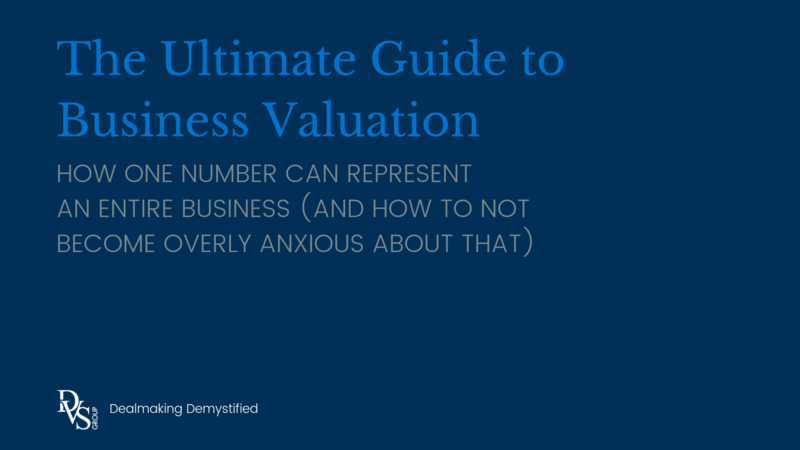 The valuation method that is best depends on the type of business that is being valued. look at these charts below from the 2016 Pepperdine University Private Capital Markets Report. There will never be an end-all, be-all number for a business. The number will be different depending on the buyer. 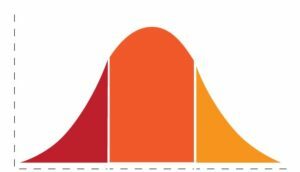 There will always be a bell curve for a company’s valuation. A certain percentage of the buyer pool will fall in this valuation range, another percentage will land here and at the high end, you have small percentage of the buyer pool willing to pay that amount for the business. As an example, we worked with a business in a tightly regulated industry looking to sell. Because of its niche nature, there was a small buyer pool and thus, only one buyer at the high end of the valuation curve. We were able to find that buyer and complete the deal. It ended up being a great win-win situation. But what if that high-end buyer wasn’t ready to make a deal? The step down to the next buyer hurts a lot with a 50% drop in value. 3. How does the business valuation process work? Business valuation begins by seeking a third-party appraiser. Using a third-party appraiser is prudent and allows for a non-biased view of the business. “Business owners should not do their own business valuation. This is too much like asking a mother how talented her child is. There are a lot of factors to consider when choosing who to complete your business valuation. These articles give advice on how to prioritize those factors and pick the best valuation firm for your business. This article includes a chart that details the primary requirements of each type of business valuation credential. If you’re looking for a more academic approach to the business valuation industry, check out this article that analyzes the Five Forces of the industry. How much does business valuation cost? Business valuation is not free. The level of expertise you need and thus, the amount of cash you’ll have to expend will depend on the purpose of your valuation. A business valuation could fall in the range of $2,000 to $30,000. The article from Napier Business Advisors that walks through these considerations includes an example of how the cost for a business valuation may be calculated. What steps need to be taken and what information needs to be provided for a business valuation? The process of business valuation requires effort and energy from the business owner. Business valuation professionals follow a specific course of action and seek out information on many facets of the business. The articles below flesh out what the process looks like and what information is needed. After you get a valuation, take it to your banker. They should be able to tell you if your valuation is reasonable for outside financing in a deal. Because that number doesn’t matter to a financial buyer if they can’t get the funding to make it happen. You could have the prettiest numbers in the world but then you learn really quick that you’re sitting in that top 3% of valuation. If that’s the case – you’ve got very, very few buyers and they can’t get bank financing to make a deal. 4. Do I have to use a third-party appraiser? How can I estimate business value on my own? There are many online business valuation calculators. Here’s a list of five of the most used. These can be helpful to gain a sense of input needed and see what a potential valuation may be. But take the valuation with a grain of salt and know that it cannot be used in lieu of a formal valuation. As these calculators indicate, there are many factors that impact a business valuation. These articles look more closely at what these factors are and exactly how they impact valuation. 5. How do I improve my business valuation? The improvement of business valuation is an essential component of a discipline called Exit Planning. There are multiple organizations that focus exclusively on Exit Planning- like Business Enterprise Institute (BEI) and Exit Planning Institute (EPI). These organizations provide resources to teach financial advisors how to guide business owners to a successful exit. The founder of BEI, John Brown, wrote a series of articles on growing business value on Forbes. 1. There are many reasons to conduct a business valuation- to prepare for a sale and to direct strategy. 2. The three main methods of valuation are based on a business’ assets, its income or the market. The best method to use depends on the need. 3. The business valuation process begins with selecting an appraiser and understanding their costs. An appraiser will require numerous documents and pieces of information to create their valuation. 4. Online business valuation calculators are available to provide an estimate of business valuation. 5. Business valuation can be improved by focusing on the right elements for growth. What about “Valuation is calculated. Price is negotiated”? Hopefully, you now have a better understanding of valuation as a calculated process. It often does not take the buyer into account. Price is determined (usually with valuation as a main consideration) through negotiation between buyer and seller. These negotiations weigh heavily on the value that the buyer sees. Valuation is crucial but it cannot be meaningfully examined without a thoughtful consideration of the buyer pool. If there are questions you have about business valuation or other M&A topics, please give us a call or shoot us an email. We always welcome complimentary and confidential conversations. P.S. Business valuation is certainly important in a deal but it is not the ultimate factor of success. 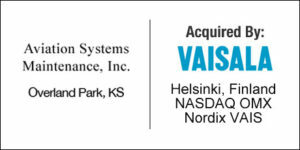 Our favorite dealmaking principle is: “You can get your price or you can get your terms.” A sentiment echoed by the recent Axial Forum article, Owners: Stop Obsessing Over Valuation. Deal structure and terms are just as important to future financial well-being as the calculated value of the business. Don’t forget to consider things like seller financing or picking the right bank for SBA financing. Each piece of the puzzle is vital for a successful deal. I appreciate how you say that business valuation can help you decide how to manage your business. It would make sense to find someone who is experienced and qualified to help you evaluate your business as well. Doing so could ensure that you get good results that can help you manage your company well. I agree that you need to consider a business valuation service in order know the exact value of your business. This would be good because it would help provide exact estimates. It would also be good to check out their references to be sure they are qualified. It’s good to know that there are several different methods of business valuation available. I’m glad there’s the market approach which would benefit a younger company! My sister is planning on starting a business, and since hers would be new, I would probably recommend the market type of valuation to her. I would like to contribute to this article by mentioning our free comprehensive business valuation calculator https://howmuchmybusinessworth.com/. Hope you all find it helpful. Thanks for explaining that business valuation is a vital component of buying or selling a business. My husband and I are interested in buying a small business. We’ll look into having it valuated so we know what it’s worth.